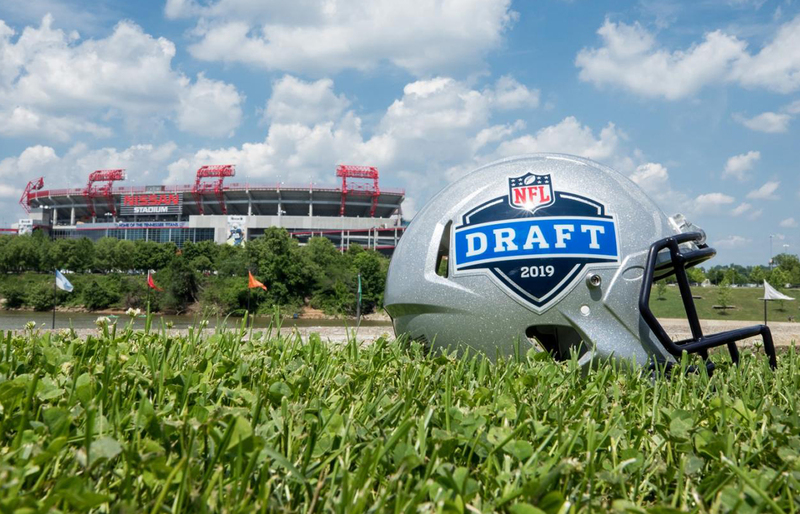 Currently, each of the 32 clubs receives one pick in each of the seven rounds of the NFL Draft (the number of teams drafting has changed over time, and there have been as many as 30 rounds in a single draft). The order of selection is determined by the reverse order of finish in the previous season. Barring any trades between clubs, each round starts with the team that finished with the worst record and ends with the Super Bowl champions. This is the beginning for many youngsters and ready to prove to teams why they are worth the first pick! Reporter: Before / After the draft what needs did you need to boast your team? Reporter: The guys you drafted will they be starters straight away ? Reporter: What will be the main factor to improve on this year? Position wise? Anyone in particular you like to see improve? HC Dan: I’d like to see my offensive line love up to expectations. I signed Williams the LT to a big deal last free agency and he gave up about 17 sacks last season. My secondary should improve as last year’s first round pick Middlebrooks has progressed massively and should be a great partner to Landon Collins. I tried to improve my pass rush this off-season, by signing Calais Campbell, Taco Charlton and drafting that OLB, so expecting a few more defensive sacks this year. Reporter: How has training camp gone? Can we expect any major cuts? Any late trades before week 1? HC Dan: The guys are progressing well, trying to get everyone into the playbook so we can hit the season running. This also gives us an idea of the position battles and who could be our day one starters (particularly OLB and slot corner). Our receiver room is a bit crowded at the moment, and we have just put pen to paper to bring Doug Baldwin to New York. I believe a veteran guy like him will bring a lot to our receiver room, but he’ll be fighting to keep his place in preseason. I wouldn’t bet against him though. I can’t count on who will get cut after preseason, but we’ll have the best 53 on the squad week 1. We still have a fair bit of cap space to work with so a trade is definitely not out of the realm of possibility. We’re actively looking for guys that can come in and help our team, whether by trade or free agency. We’ll have an eye on the free agent lists after the cuts to 53. I expect some good players to be cut just because of the number of good young guys coming in to the league. Reporter: Im sure Redskins, Cowboys & Eagles will disagree….